Director of the London School of Economics and Political Science on the evening of April 17. During the event, the Director will update alumni on the School’s latest developments and priorities. A panel discussion on "Innovation: A disruptive force for good?" will follow. The event will conclude with refreshments and an opportunity for networking with fellow alumni. Registration: $20 per person. Space is limited. 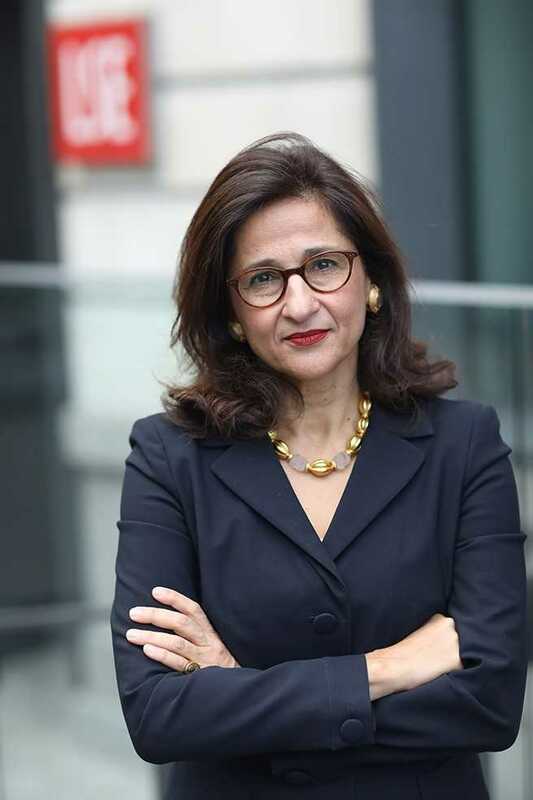 Dame Minouche Shafik is a leading economist, whose career has straddled public policy and academia. She was appointed Director of the London School of Economics and Political Science as of 1 September 2017. Minouche trained as an economist, studying at the University of Massachusetts-Amherst, the LSE and the University of Oxford and, by the age of 36, had become the youngest ever Vice President of the World Bank. She later served as the Permanent Secretary of the Department for International Development from 2008 to 2011, Deputy Managing Director of the International Monetary Fund and as Deputy Governor of the Bank of England from 2014-2017, where she was responsible for a balance sheet of over £500 billion. She is interested in the future of work and skills; changing attitudes to the social contract; global governance reform; and international economic policy and development.